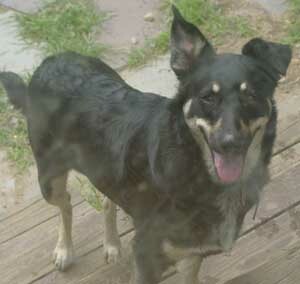 Cookie is a sweet Shepherd mix female. Black and tan, at first we thought she was 5 or 6, but we traced her down to an owner who had her from a pup and she is 4. Vet confirmed she's probably just been on a bad diet so we're going to have her teeth cleaned. She was raised with kids and she ignores other dogs. She ignores cats. She is playful and loves to throw her stuffed toys around or just lie by your feet and chew a bone. Would be great for an inactive household as long as they walk her. 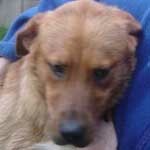 This sweet young female is about 8 months old and very good with dogs and submissive with cats. She is not as scared as her picture shows, but is timid in new surroundings. Once you get to know her she is just like any other happy puppy. She is quiet in her crate and very low key in the house. This lovely girl is sweet - loves to give kisses. 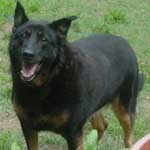 She has short thick black fur with tan highlights. 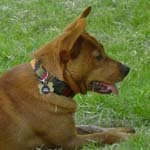 She is on the small side for a shepherd mix, great with other dogs. Needs some leash work and training for jumping up. She is a VELCRO dog, which means she sticks by your side when outdoors. She walks perfectly on a leash for her foster mom. 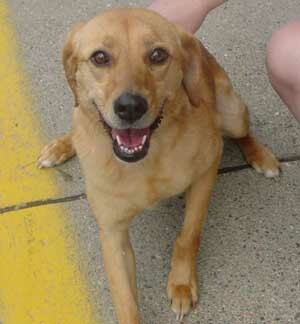 Tess is a sweet lab mix who is very calm and quiet. She is good with kids and not a leash puller. She deserves a wonderful family or someone who love her forever. This handome boy is Gavin. He will be good-sized dog. If you take all the good things you've heard about both of his breeds, and combine those traits, you will get a good idea of Gavin's personality. He is very friendly and loves people. 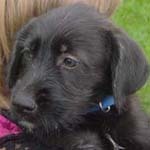 He will be a great addition to any family, and will be a loving and loyal companion. This handome boy is Randy. He will be good-sized dog. If you take all the good things you've heard about both of his breeds, and combine those traits, you will get a good idea of Randy's personality. He is very friendly and loves people. Both Randy and Gavin love the water. We can't keep them out of the kiddie pools. 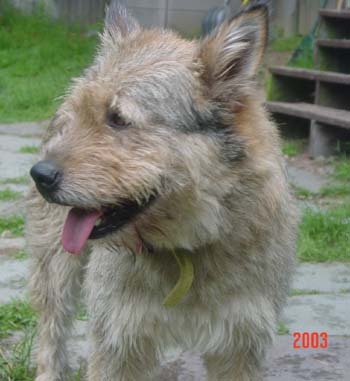 Tara seems to be like a mini schnauzer and she certainly has a very terrier-like personality. She's adorable, sweet and affectionate. She happy around people and adores attention. Rose is a 11 month old Australian Cattle Dog/ Heeler mix from KY. She is wonderful with the foster dogs, even the toy breeds, and all around easy. She loves women, is great with kids, but is afraid of some men. She is housebroken and calm in the house, and very small in stature, about knee height. She's a nice size. 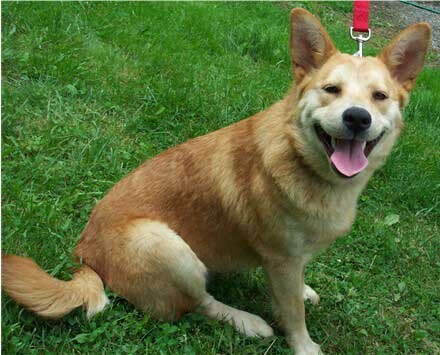 She was been transferred to the Dakin Animal shelter and has been adopted. 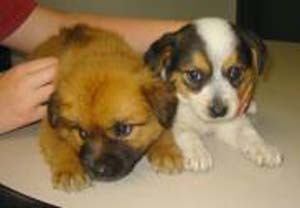 Penny and Lane are two cute little pups who are being held at the Paws shelter in Paris, KY until their transfer on 7/13/03. They will have had all shots and will be spayed. 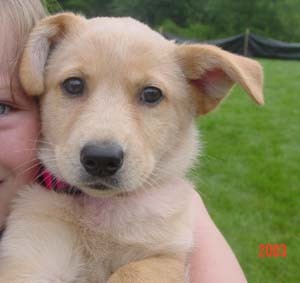 Puppy adopters must be able to stay at home and not leave them for long hours. Obedience training is required for puppies. 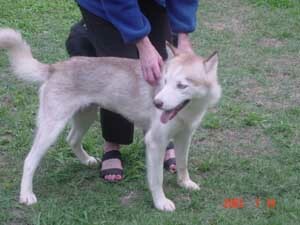 This gorgeous dog is Gwen and her picture doesn't do her justice.. She is a purebred Husky and is about 1 yr old (as of 6/1). She has a beautiful red and white coat, which goes great with her blue eyes. Once you catch a glimpse of those big, blues, you fall in love! 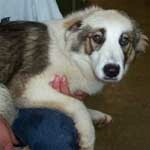 Gwen came to the Paris, KY shelter as a stray, but was obviously socialized. She is very good with people and is well-behaved. She is easy to walk and actually likes her crate. She goes in it willingly and often. She is fine with other dogs. 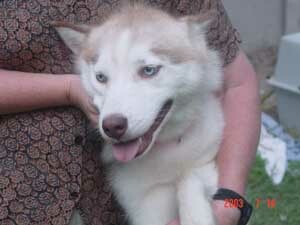 If you are looking for a beautiful dog with a nice personality, she is the dog for you. Apply here Adopted! 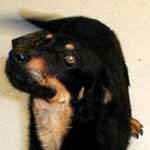 Bear is a 2 yr old Terrier mix who is just too cute! He looks like an overgrown Benji dog. 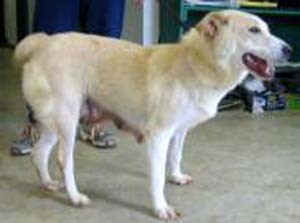 He was brought to the shelter in KY because his people were not taking care of him and neighbors got tired of him wandering the streets. 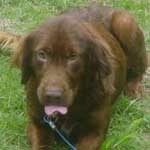 Bear is in foster care and his foster Mom has great things to say about him. 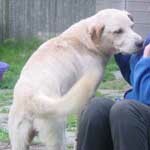 Bear is already housetrained and knows some basic obedience too. He will wave to you for a treat! He is very friendly with people (including children) and dogs. He is very affectionate and loves to cuddle and be petted. He is calm and laid-back--likes to lay around the house. He is pretty quiet, and rarely barks. He hasn't chewed anything in the house at all, in fact he doesn't even chew rawhides that much. He is doing well on the leash. He does not like to be crated and there's hardly a crate that will hold him, so this is one dog about whom we say, no crate. Bear is gorgeous, but large. He's at least 55 lbs and very strong. He's gentle, though, and a really cool dog. Shirley brought him to a family reunion and everyone LOVED him. He sat there and waved his paw at everyone. This dog is very unique. Captain Morgan is the yellow puppy. He's about 12 weeks old now as he was eight weeks on 6/1. 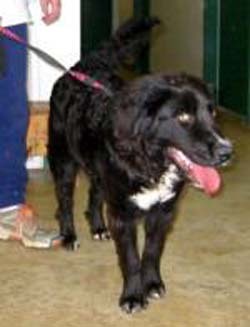 .His Mom is Pru, a Border Collie/Lab mix, and Dad is a purebred black Lab. So he is mostly Lab. He is a socialized, active, playful puppy. 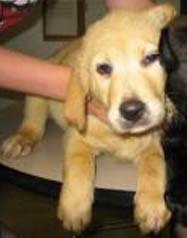 We are going to want an adopter who can see him through his puppy years and is commited to obedience training (a requirement for puppies) and someone who is prepared for labby adolesence. Labs are an active breed and want to be with you every minute. Adopted along with his sister, Sarah. These two puppies are so precious! They are Colors puppies and are 10 weeks old (as of 7/1). 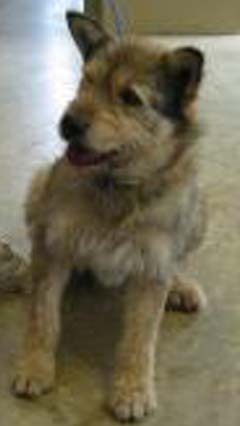 Color, their Mom, is a Sheltie/American Cattledog mix and weighs around 15-20 lbs. These puppies should stay small also, even though we don't know who Dad was. 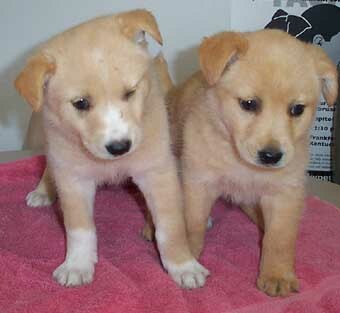 Lovie is the Sable puppy on the left, and Dovie is the tri-colored puppy on the right. They have been raised by very well, and are socialized. They are so cute and will be wonderful companions for any one. 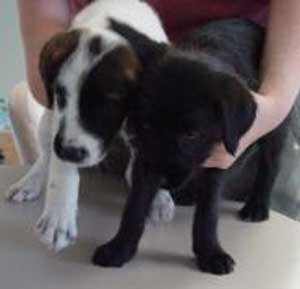 They will NOT be adopted together as puppies need individual attention and training. Please apply if you are interested as these beautiful pups will be very popular at our adoption event. These two little balls of fur are Raggedy Ann and Andy. We not real sure about their breeds, but believe they are Pomeranian mixed with Spitz or maybe some type of Terrier. 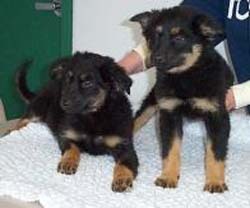 They are 9 weeks old (as of 6/1), and should only be around 20 lbs when fully grown. They are truly adorable! They are happy, playful puppies. They are well socialized and really like people. They are curious little puppies and do like to explore. Raggedy Ann was adopted, but Raggedy Andy is available. Please apply if you are interested as this handsome pup will be very popular at our adoption event. Penny is a little puppy from KY who is about 10 weeks old. She is playful and friendly to kids, but she is also teething so watch out. She loves to be held or to just play. She seems to be a sheltie/terrier mix. This is a face that will inspire ooohs and ahhhs - it is just so cute! 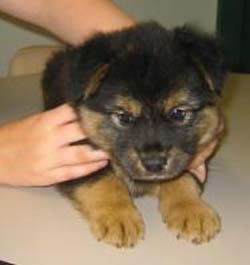 This is Maggie, who is a 8 weeks old (as of 6/1) Chow mix. She is a little Sable colored fluff ball. Her personality is just as cute as her looks! She is friendly, affectionate and so happy around people. She really is precious. Please apply if you are interested as this cute pup will be very popular. Meet Tara and Snoopy - two charming puppies. 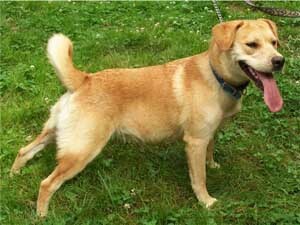 They are Beagles who are mixed with another breed that has longer hair - maybe a Terrier or a Lhasa Apso. They are 8 weeks old (as of 6/20). Tara is the female and is the black puppy. 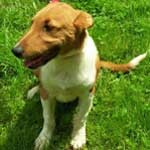 Snoopy is the tri-colored puppy who is mostly white with some black and brown markings. Snoopy looks mostly Beagle, and Tara has a bit longer hair. Both of these puppies are very sweet and affectionate. They are happy around people and adore attention. Like all puppies, they are very playful and love to explore. They will NOT be adopted together, so please do not worry if you just want one. Please come and see Tara and Snoopy. Love at first site is guaranteed! Arrival 7/13 pending vaccination completion. Snoopy got adopted. Mooshu is a 4 year old Black Lab female whose family no longer has time for her. She is a lovely dog, raised with kids. Not exposed to cats. She is a really nice dog, loves kids, other dogs. Not exposed to cats, but is pretty mellow. She weighs 75 lbs.